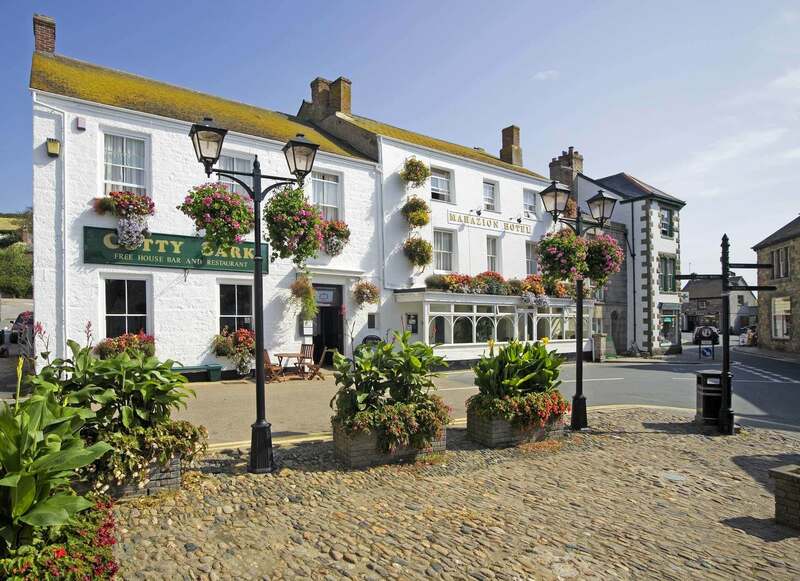 Historic Marazion Hotel providing a warm welcome for hundreds of years! Originally a coaching inn built around 1700, our small friendly hotel has always offered a warm welcome to visitors to Cornwall. The stabling was originally situated in the part of the main building. The hotel also has a number of items from HMS Warspite, which ran aground in Mount’s Bay in 1947. These include panelling from the Captain’s cabin and the tip of the mast. Every September, the Warspite Association meets at the Marazion Hotel and more exhibits can be found in Marazion’s town museum. Pathe filmed a news filler story at the Marazion Hotel in 1950 – a local girl rides her horse along the beach before leading it into the bar for a well-earned bottle of beer!